The social media initiative went awry after Gawker tricked it into tweeting passages from Mein Kampf. 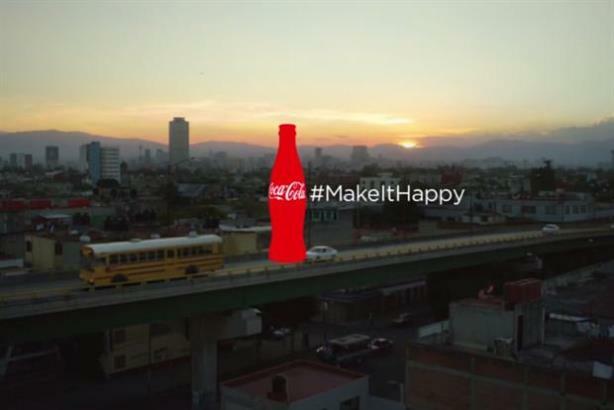 ATLANTA: Coca-Cola has suspended its #MakeItHappy automated Twitter campaign after pranksters from Gawker tricked the platform into quoting passages from Hitler's Mein Kampf. The campaign was part of Coca-Cola's Super Bowl advertising. It encouraged Twitter users to tag negative tweets with the #MakeItHappy tag. The drinks brand would then automatically turn those tweets into positive ASCII art images. Gawker spotted an initial prank from another Twitter user, which resulted in Coca-Cola turning a white supremacist slogan into an ASCII image of a dog. "Even when the text is shaped like a dog, it is disconcerting to see Coca-Cola, the soda company, urge its social-media followers to safeguard the existence and reproduction of white racists. Is Coca-Cola a white nationalist organization? Its Twitter says: Yes," Gawker editor Max Read wrote. It then created the @MeinCoke Twitter bot to inundate Coca-Cola with passages from Mein Kampf. It resulted in 13 Hitler-themed ASCII pictures, variously showing an anthropomorphised burger, a giant smiley, and a drumming cat in sunglasses. The company eventually got wise to the prank and suspended its campaign.